It’s your favorite time of the day. After a long work day and finishing the errands along with chores that need to be done, you’re finally ready to sink into your comfy mattress and fall asleep. Everything is blissfully silent, and you’re just about to sink into a deep sleep, until you hear your partner start snoring. You start gently shaking them, hoping that they’ll wake up and stop snoring. No luck. Sighing, you grab your ear plugs and try your best to fall asleep. Snoring is the vibration of your respiratory parts that usually forms a very loud sound due to obstructed breathing while sleeping. In most cases, snoring becomes loud, unpleasant, and often leaves the person feeling insecure when it comes to sleeping next to a partner. It doesn’t help the other party either. It can leave both of you feeling exhausted and frustrated. Not only does snoring make it hard to get a good night’s sleep, people who snore are more irritable and have trouble concentrating. While snoring is very common, excessive snoring needs to be tended to. It can lead to more serious issues such as heart disease, increased blood pressure, and sleep apnea. Many people just accept snoring for the nuisance it is, but there is a very beneficial treatment to help prevent snoring. 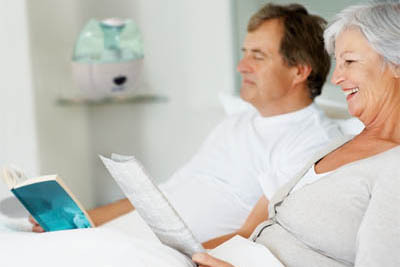 Salt therapy for snoring is one of the best options for this ongoing problem. Stop snoring today with salt therapy! A lot of people use mouthpieces that position the jaw in a certain way so the snoring stops. While they certainly help, they are often very uncomfortable and irritating to put in. Salt therapy has become a favored treatment because it’s non-invasive, contains no side effects, and there is no added discomfort to the patient. There are many spas that offer this treatment, but salt therapy can even be done in your own bedroom with the purchase of a salt machine. The salt machine is a small and portable device that will regularly dispense microscopic salt particles, which are then inhaled deep into the lungs. It clears the airways and improves airflow. Once exposed to salt therapy and doing it continuously, the respiratory system and the muscles in it begin to strengthen. When the muscles in the throat and mouth become stronger, it can restrict them from relaxing too much while sleeping. Since the muscles won’t relax as much, it can completely reduce and even eliminate the vibrations that cause the snoring. Believe it or not, there are actually different types of snoring. Snorers are often put into two categories: mouth snorers and nasal snorers. While both snorers can benefit from doing salt therapy, nasal snorers are the ones who greatly benefit. Since their nasal passages are blocked, it’s almost impossible to breathe in through the nose, leaving the body no choice but to start breathing through the mouth, which then results in snoring. Salt therapy can also help with this. Because the salt contains negative ions, it will attract the water particles to it. The thick mucus will moisten and thin out, making it easy to blow out. Salt also contains anti-inflammatory elements. Swollen airways and nasal passages often are often painful to breathe through. Salt therapy will relieve the inflammation and make breathing easier once again. After all the sleep you’ve been missing out on, salt therapy will also leave you feeling relaxed and rejuvenated. As previously mentioned, salt contains negative ions. Negative ions can usually only be found around places such as beaches and waterfalls. Breathing in these ions while you sleep will leave a relaxed effect on the body and have you waking up feeling refreshed instead of fatigued. In addition to that, the negative ions also increase serotonin levels in the bloodstream. Serotonin is responsible for relieving stress, boosting energy, and improving overall mood. You’ll have a smile on your face even before you have your morning coffee! While snoring is a very common thing, if it becomes excessive it can create problems. Health problems, relationship problems, problems that can easily vanish when try out salt therapy. This natural treatment will give you the sleep you deserve without it being uncomfortable. It will strengthen the muscles inside the airways, make nasal snorers less congested, and let your body unwind and rest, all while you’re sleeping. Because this treatment has no side effects, it’s safe and usable for all members in the household. It’s time to make snoring a problem of the past. Throw out those earplugs and try out salt therapy today! You wake up every night at 3:33am right as your partner’s breathing starts to churn into a heavy pattern. Then it starts: a loud thick snore that will keep you up for the next couple of hours. You’re exasperated because you’ve tried everything – opening the window, using a humidifier to purify the air, “gently” tapping them on the shoulder hoping to not wake them but shake them out of their snoring-spell. Nothing has worked so far. Snoring is common but excessive snoring is not normal and needs to be tended to. Snorers are three times more likely to suffer adverse health conditions than non-snorers. Snorers and their bed partners are more likely to be hard of hearing than non-snorers and their partners. Over one third of couples report disharmony within the relationship due to snoring. Bed partners of snorers physical and mental health improves significantly once the snorer has been treated successfully. While many chronic-snorers also undergo surgeries to correct issues related to their snoring, only to often become worse and continue to snore. So what do you do? Look into home salt therapy solutions for snoring. Home salt therapy has proved to work wonders on those affected with snoring. The Saltair salt therapy device releases salt particles into the air that improve and deepen breathing, to ensure a comfortable night’s sleep for both of you. The device is portable and small and can be placed on a bedside table easily. The particles have proven to penetrate deep into the lungs and clean up mucus, bad bacteria and reduce inflammation. It acts as a humidifier for the respiratory tract, clearing mucus and helps to alleviate allergies. It also helps to remove impurities in the air such as dust, pollen and fights bacteria and viruses. If you’re interested take a look at our customer testimonials and go over to the home salt therapy distributors’ page to find out where you can purchase a home salt therapy device.